Our compatriots are not only used the kitchenfood storage and preparation of tasty dishes, but also as a meeting place for guests and talk heart to heart. 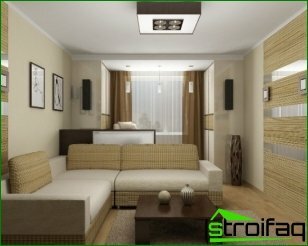 To achieve these goals, it is necessary to choose the right kitchen interior design, and which will help to achieve these goals. 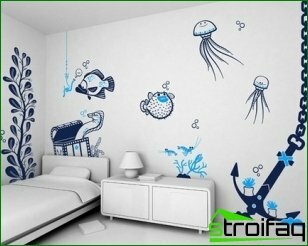 Equally important is the choice of the colors of the walls. Let's look at some practical advice that will help achieve the desired result. If you want to use in the design of the kitchenred color, its content should not exceed 10%. This color symbolizes love and passion. 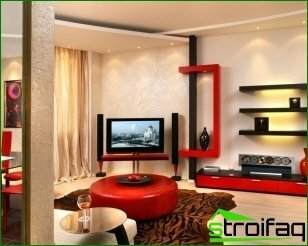 However, completely red wall will only irritate, but by using some red elements, you can create an organic look. A good solution would be the use of orangecolor. 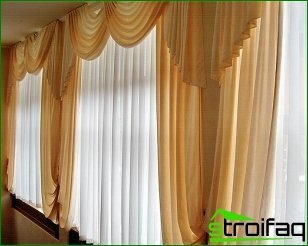 If we compare it with the yellow, this color is more cheerful, so it is often used in the design of the dining area. 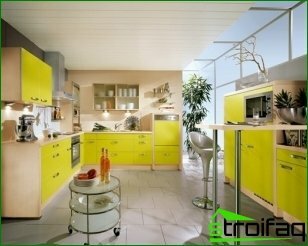 Experts believe that the yellow, red and orange colors contributed to increasing appetite, so they are often used in the kitchen interior. In addition, these colors are bright enough, but their combinations with each other should be avoided, since such a decision can visually overwhelm the room. When choosing the best colors for the kitchen should benot to forget the blue, which symbolizes the sea and sky. These associations contribute to the emergence of peace of mind and a sense of peace. Besides blue walls visually expand the kitchen. On the other hand, you must avoid the use of rich blue, because it reduces the appetite. Determining the optimal color solution for the kitchen,alternatively possible to consider the use of green color. It will help to perceive the harmony and peace, but also helps to increase efficiency. 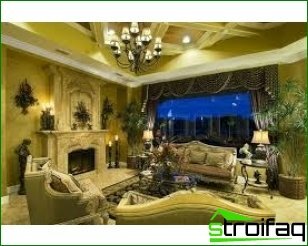 Sometimes decorators use different combinations of green and yellow, so that can not create a special harmony in the dining area. If you want to combine two colors, one of which will be the main, and the second - optional, it is best to use the ratio of 5: 3, which will allow to achieve optimal solutions. For those who want to achieve the effect of lightness, you can use white color. 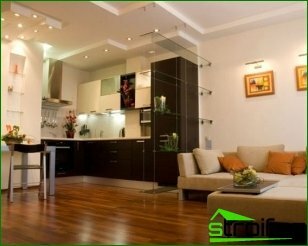 On the other hand, when it is abundant kitchen can be like a laboratory and inspire a sense of sterility.